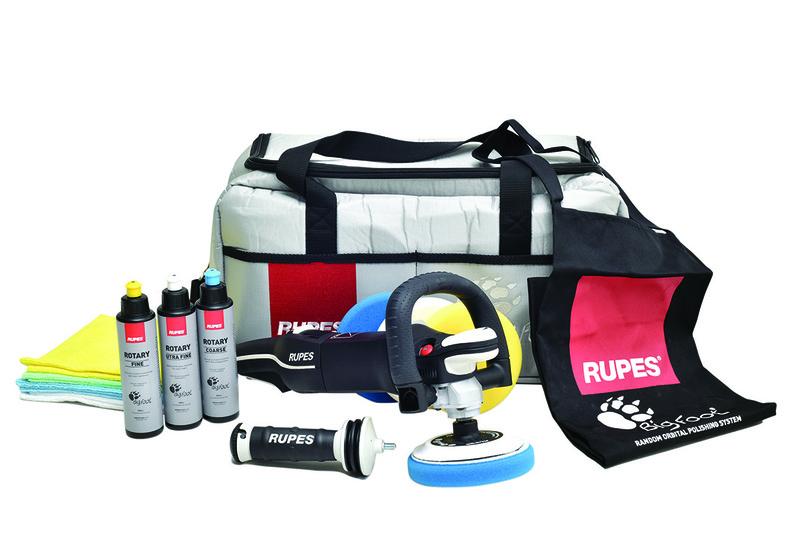 The Rupes Big Foot Random Orbital Polishing System consists of a line of electric and pneumatic car polishers along with foam pads and polishing compounds tailored specifically to the enthusiast and professional who demand the best finish possible. Rupes spent years fine-tuning this system by gathering information from users around the world, making sure each foam pad and polishing compound performed flawlessly on all paint systems when used with the Big Foot Random Orbital Polishers. The Rupes Big Foot Random Orbital Polishing System guarantees faster paint correction than any other system available without sacrificing finish quality. Call Celette on +27 (0)11 334 1875 or visit: www.celette.co.za for more info.